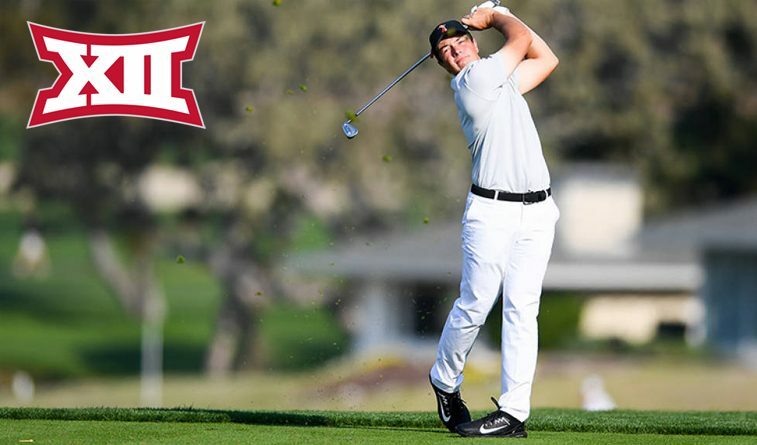 First day pairings have been announced for the 2018 Big 12 Men’s Golf Championship April 23-25 at Southern Hills Country Club in Tulsa, Oklahoma. Action kicks off on Monday, April 23 on the first tee with No. 1 Oklahoma State and No. 2 Oklahoma going off at 8 a.m. CT. At 8:45 a.m., No. 5 Texas and No. 6 TCU will tee off followed by No. 9 West Virginia and No. 10 Kansas State at 9:30 a.m. CT.
On the 10th tee, No. 3 Baylor and No. 4 Texas Tech will tee off at 8:22 a.m. while No. 7 Kansas will play alongside No. 8 Iowa State beginning at 9:07 a.m. CT.
Five Big 12 squads enter the Championship ranked in the top 17 of Golfweek/Sagarin ratings, led by No. 1-rated Oklahoma State. No. 4 Oklahoma is followed by No. 10 Baylor, No. 13 Texas Tech and No. 18 Texas. The awards ceremony will follow Wednesday’s final round. The event is free and open to the public. Live scoring will be available on Big12Sports.com at https://big12.us/2ERcF0F.